Having a brochure that sells your products or services is critical. We can create a brochure that helps increase your sales. Your logo says a lot about your business. It is your brand. We can help you develop a logo that connects with your customers. Having a professional image is very important. 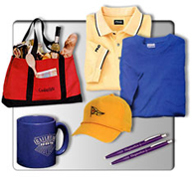 Your corporate Identity should be consistent and convey your image to clients.